Sure, by 2020, Millennials will make up for 46% of the US workforce. And yes, it’s becoming increasingly important to try and keep your best performing baby boomers on board longer in order to avoid a poignant skill gap. But while many of us are busy finding new ways to attract, hire and retain both of these generations, it’s Generation Z that’s slowly but surely entering the working world. Generation Z – also referred to as Digital Natives, Gen Wii and the iGeneration – is the batch that comes after Generation Y (the notorious Millennials). Where the latter were born somewhere between the early 80s and the mid to late 90s, Generation Z starts around 1996 till 2012. If you quickly do the math, this means they are currently between 5 and 22 years old. It also means that Generation Z is making its first steps into the wonderful world of work, albeit for now mostly interning or in entry-level positions. As more and more Digital Natives are entering the workforce, it’s imminent to think about how you can best attract them. In this article, we’ll dive into the developments that shaped Generation Z. We’ll also take a look at how this translates into their needs in the workplace by giving you 7 tips for hiring Generation Z employees. First things first though, let’s brush up our general Gen Z knowledge. So, what do we know about these Digital Natives? Let’s start by taking a look at some of the technological developments that took place during the time they were born – there are plenty of them! • Between 1996 and 2012, most of us went from our first, calling and texting only, mobile phone to a smartphone that allowed us to virtually manage all aspects of our (social) life. • With the rise of the smartphone came the explosion of apps. There have been apps to identify songs, play games, chat, date and everything in-between. • WiFi! It almost seems unthinkable now, but there was a time we went through life completely WiFi free. It wasn’t until 1997 that wireless internet was first released to consumers and it took a few more years for the technology to become widespread. • Cloud computing. Another big one. Gone are the days of having to save documents on floppy disks (remember those? ), hard drives or massive company servers. For Generation Z, saving their photos, music and videos in the cloud is just as normal as brushing their teeth. • The World Wide Web. Probably the Godfather among the technological developments that have shaped the world into what it is today and one that only really took off from the late 90s onwards. Smartphones are the most used devices to consume content among Generation Z. On average, they spend 15.4 hours per week on their phones! As this is only a small sample of the countless technological advancements we’ve seen over the past 20 years, it’s no surprise that Gen Z is often being described as the one who was born with a smartphone in their hands. If we look at Generation Z and their predecessors of Generation Y, it’s probably this radically different digital context that’s the biggest difference between the two. While (most) Millennials were born into a world that was still rather analog, without things like WiFi and the cloud, Digital Natives were given an iPad to watch cartoons on in their pram. This is something the term Digital Natives implies really… Like we said, these are the people who were pretty much born with a smartphone in their hands and who learned to say ‘WiFi’ before grandpa. The fact that Generation Z doesn’t know a world without digital devices, internet, or social media means that they know perfectly well how to navigate this kind of technology. As a result, they use it for virtually every aspect of their lives. And they expect nothing less from their workplace. For Generation Z, company systems that are hosted in the cloud and accessible from anywhere and on any device are nothing special. The same goes for video calls. Why make an impersonal, old-fashioned phone call when you can use FaceTime, Zoom, Hangouts, and a ton of other video call applications to look the other person in the eye? These are just two of the many examples of technological applications that are perceived as the norm by Generation Z – but not necessarily yet by the organizations that recruit them. A study held among 4,000 Generation Z members showed that 37% of them is concerned about their ability to communicate and maintain strong interpersonal relationships – ironically, they fear that technology is negatively affecting this. From an employer perspective, it’s important to keep this in mind when you think about a personalized L&D program for your Gen Z workers. Rather than focusing on the tech side of their skills, you may want to put the emphasis on boosting their communication skills for example. Many Digital Natives still vividly remember the financial crash of 2008. A lot of them saw what happened to their parents and/or grandparents. This is one of the reasons why Generation Z – unlike their Millennial predecessors for example – is quite risk averse. Yes, they attach importance to the fact that the job they’re doing has a certain purpose, but they also find it (equally as) important that it gives them a level of security. Unsurprisingly perhaps, but for Gen Z their smartphone is their preferred device – by far. As an organization looking to hire these Digital Natives, you want to make use of this. • Avoid too much text. Keep your job description short and sweet bearing in mind the mobile format of your job page. • Make it easy for people to apply. If you ask candidates to upload documents, make sure the upload function works well – and is fast. Don’t ask for unnecessary information that lengthens the application process and risks losing candidates before they’ve reached the end. • Include videos. This can be to show applicants a short glimpse of your office or an employee testimonial for example. You can also ask your candidates to record a 1-minute video to introduce themselves and add the file to their application. 98% of Generation Z own a smartphone. When you’re used to everything being available instantly: music, messages, videos, you name it, it’s not surprising that you lose patience when it takes more than a few seconds for a web page to load….right? • The messages you’re sharing about your company (culture) on social media, as well as the platform you’re using to do so. Gen Z is very video orientated so think about how you can make this work for you. If, for example, many of your potential candidates use Instagram, you can create some engaging content via Stories (the temporary content function on Instagram) rather than simply posting a photo. 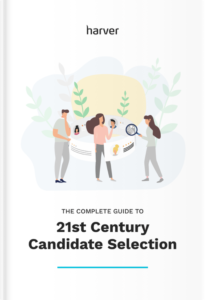 • Keep your candidates informed – and engaged! – during the application process. This is always important, no matter what generation your applicants are from, but even more so with Digital Natives who have a short attention span. • . Adapt your onboarding process. Making them read heaps of company documents isn’t going to cut if for Generation Z. If you’ve got information they absolutely have to go through during their onboarding, try if you can pour it into a different format (yes, video could be a good alternative). The last thing you want is to lose their attention before they’ve even started. We’ve mentioned the importance of video a couple of times already. In case we failed to make our point about Generation Z and all things video: this is a generation that loves video. Probably the result of growing up with a camera in your pocket. • Sourcing. For instance when you’re targeting particular Gen Z candidate profiles (using programmatic advertising software for example) on social media. • Attracting. By asking applicants to send you a short video of themselves – or perhaps by only asking them to send a video for an even quicker application. • Preselection. When you’re hiring Generation Z employees and you use a pre-employment assessment tool, you need to include videos. It’s the perfect opportunity to show you candidates the office, the job – and various on-the-job scenarios – the company culture and of course their potential future colleagues. • Onboarding. We already said it, where possible, use video rather than text during your Gen Z onboarding. Employee health and wellness is becoming an increasingly important topic. As people’s awareness about healthy lifestyle, including exercise, food, and mental health grows, so does the importance they attach to it at work. For Generation Z, a company’s health and wellness program – if any – is a factor they take into account when they’re choosing a place to work. This doesn’t mean that you need a massive budget or a very elaborate program, however. The beauty of employee health and wellness programs is that they can take on many different shapes and sizes. From fruit baskets and a free healthy lunch once a week to in-company yoga sessions and a stepping challenge. In this regard, Gen Z isn’t very different from their predecessors. When you’re hiring Generation Z employees, you need to have a plan. This means they’ll expect you to give them some sort of future projection that involves their professional (and personal) growth within your organization. • What’s your company’s L&D program like for this kind of role? • What kind of positions do people generally evolve into after they’ve been with the company for a couple of years? • What’s your organization’s internal hiring policy like? Can people easily move from one department to another if they want to? What Gen Z (possibly) lacks in communication and interpersonal skills they make up for in terms of independence. This is a generation that is able to find a YouTube guide for virtually any kind of (tech related) issue. As such, Z candidates are much more self-sufficient than many of their predecessors; they are able to assess a situation independently and if they do need assistance they’ll find it online (via YouTube, help forums and other learning resources). While they may be aware of their own weaknesses, Digital Natives also know their strengths. They value their independence and are willing to take ownership of projects so they can show people what they’re capable of. As an employer looking to hire Generation Z employees, it’s good to keep this desire for independence in mind. Unlike Millennials, for example, Gen Z isn’t necessarily very keen on an open space but likes to work alone instead. You know how they say it’s impossible to do more than one thing at a time? Well, that was probably someone who hadn’t met a Digital Native yet. More so than any other generation before them, Gen Z employees are used to a constant influx of notifications. For them, switching between email, various apps, and reminders comes naturally. While this is probably the reason they have a super short attention span, it also makes them seriously good multitaskers. When you’re hiring Generation Z employees, this is something to keep in mind, however. Especially if you’re recruiting for a role that requires long periods of deep concentration on a certain task you want to make sure that you’ve been very clear on that point. Alright, there you have it, 7 tips for hiring Generation Z employees. Of course, there is a lot more to be said about this generation that is now entering the global workforce. And sure, not all Digital Natives are the same so not all of these tips will apply to everyone. If there’s one thing to take away from this article, however, it’s that you should always adapt your recruitment strategy to the people you want to get on board.